Home-field advantage is integral to taking down opponents in friendly confines. Penn State football has the S-Zone and Penn State hockey has the Roar Zone — each a staple in its own right, unique to the climate supported by the venue. Teams receive that home-field advantage thanks in large part to the passionate fans that attend each game — whether it be an organized student body or a group of rowdy friends. But what sets a student support organization apart from a student section? Simply put, it’s the collective will to win, to always be in support of its team no matter what. The group that will always stand and cheer for their team to succeed. The group that will return after an exuberant victory or a disheartening loss. That passion is found in Penn State men’s soccer and the newly-formed student organization Sons of Jeffrey. Representing a school with a rich soccer history, Sons of Jeffrey was aptly named after former Penn State men’s soccer coach Bill Jeffrey. Jeffrey took the reigns of the men’s soccer program in 1926 and held onto the position for 26 years. Jeffrey is famously remembered at Penn State for the 65-game unbeaten streak he and his team held from 1932 to 1941. Jeffrey won ten National Titles in his time at Penn State. Upon leaving Penn State, Jeffrey’s most significant accomplishment came on the national stage coaching the 1950 United States World Cup team. Jeffrey’s 1950 squad ultimately beat the heavily favored English National Team 1-0 in what is now considered one of the greatest upsets in the history of soccer. In 1972, Penn State honored their previous coach by naming the field “Jeffrey Field,” and the name wound up sticking. Sons of Jeffrey President Jorge Zurita-Coronado believes that the name of the newly-formed organization perfectly embodies the future of Penn State men’s soccer. Soccer, being the internationally-embraced sport that it is, has been slow to catch on in the United States. Football, baseball, hockey, and basketball have predominately reigned as America’s core mainstream sports. Recent international events like the 2014 World Cup and the 2015 Women’s World Cup have injected life into the American soccer community. In turn, the popularity rejuvenated Major League Soccer, while eventually trickling down into the collegiate level. With that popularity returning to the college stage, Sons of Jeffrey secretary Adriana Lacy envisions big things to come for the organization. “Going forward, I can see Sons of Jeffrey being one of the biggest student supporter groups in collegiate athletics, and help to grow the love of the beautiful game throughout campus.” Lacy said. In collegiate men’s soccer, Penn State has enjoyed its share of recent success. Not having a losing season since 2008, the Penn State soccer fandom has grown from an overshadowed program into the nationally recognized program it is today. Not only is Penn State nationally recognized for soccer in terms of on-field success, but also for its staggering attendance figures. Jeffrey Field is home some of the most ardent fans at Penn State — fans who stand in the rain, snow, blistering heat, and pain-inducing cold, mind you, all while keeping the traditions of die-hard soccer fans alive. The fanbase has grown so much in recent years, that the thought of making themselves a student organization was almost a necessity. And with recent rebranding of the program — appropriately referred to as Penn State Futbol — it was the perfect time to create such an organization. At the end of the 2014-15 season, Sons of Jeffrey was born. Created by Penn State soccer fans and members alike, the organization’s first officers were chosen, thus ushering in a new era of the Penn State men’s soccer supporters group. The executive board consists of President Jorge Zurita-Coronado, Vice President Tim Miller, Treasurer Calvin Lobo, and Secretary Adriana Lacy. They all look to build this new student organization up and help create a lasting culture at Penn State. In being the newest student support organization at Penn State, the members have taken it upon themselves to wear their excitement on their sleeves and use it to their team’s advantage. Attending soccer games for them isn’t solely for enjoyment — it’s their job. Rattling the opponents to the point of distraction and frustration is in the description, and it doesn’t go unnoticed by players. “It’s our goal to make more of the fiercely proud Penn State community find out, just as [we] did, that Coach Warming and his boys deserve as much love and support as Coach Franklin and the football team,” Tim Miller said. Bob Warming makes the Sons of Jeffrey feel welcome, as if they were part of the team itself. The organization is looking and expecting to grow. The Sons of Jeffrey’s first executive board is aiming to make it the best it can possibly be. 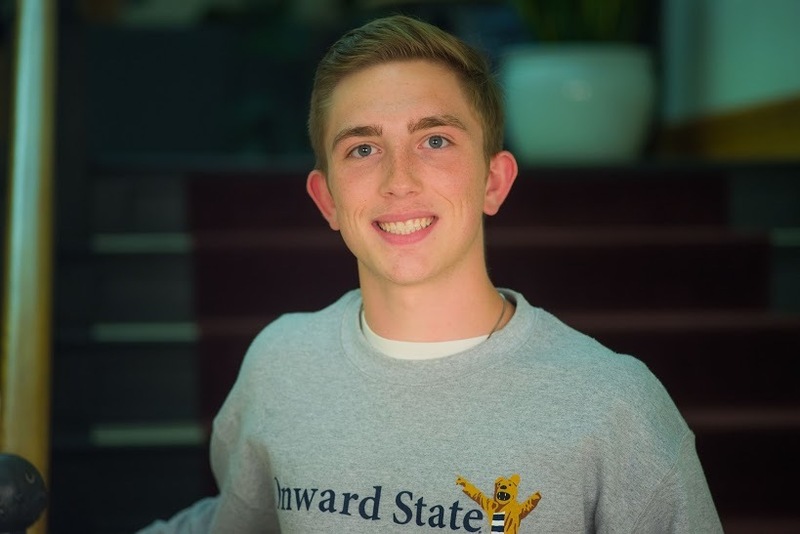 Zurita-Coronado elaborated on his organization’s marketing strategy to attract new members, and how he plans to make Penn State feel their passionate presence. With all the student organizations at Penn State, some of them require members to pay dues to fund events and purchase merchandise. This will not be the case with Sons of Jeffrey, however, as Zurita-Coronado assures students that he plans to keep the organization open, just how it has always been. For those who have never attended a Penn State soccer game at Jeffrey Field, Zurita-Coronado and all of the Sons of Jeffrey encourage people to come and see their product on display. Along with the excitement of Sons of Jeffrey, Penn State Futbol has a list of promotions that will occur this upcoming season, which can be found at @SonsofJeffrey on Twitter. The first promotion of the season will be a Penn State Futbol scarf giveaway along with free pizza for students at the first game of the season on Friday, August 28, at 5:30 p.m. against the University of San Francisco. On Sept. 27, Penn State Futbol will be honoring former Penn State soccer player Brett Gravatt during the Ability Athletes Day game against Michigan. And, of course, the White Out is scheduled for Oct. 9 at 7:30 p.m. against Maryland. All of the members of Sons of Jeffrey and its leadership committee look to create something special this season and “Pack the Jeff” every home game. If students are interested in joining Sons of Jeffrey they can visit its website and contact its executive officers or can visit Jeffrey Field to help cheer on Penn State Futbol.